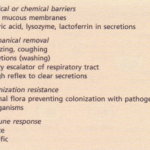 Following an antigenic stimulus, the components of the immune system cooperate to meet and eliminate the challenge. The foreign antigen is picked up by a cell of the monocyte/macrophage series and the antigen is degraded or processed and presented to both the Band T lymphocytes. 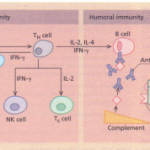 T-helper cells are generated which enhance the antibody response made by B cells. 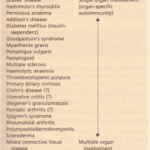 Some of this augmentation is due to secreted lymphokines or cytokines from the T-helper population. It should be noted that cytotoxic T cells may be generated if foreign antigens, typically viruses, are presented directly to this cell population. Bacteria are most likely to be processed through the MHC class II pathway and thus generate, primarily, antibody responses. The B cells, once triggered, will differentiate into plasma cells producing specific antibody which binds to the antigen and further triggers the complement system. The complement system, in turn, recruits neutrophils which together eliminate the antigen, perhaps with additional help from lymphokine-activated macrophages. Once the immune system has detected ‘foreign antigens’ it can communicate this information to other systems, particularly to the brain and neuroendocrine systems. For example, following infection, there is an increase in both pituitary and adrenal gland secretion. 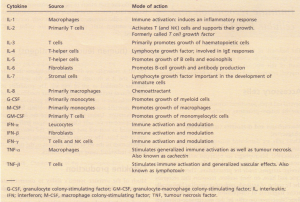 Cytokines: origin and biological function.